If you have not already contacted a plumber, one will be assigned to stop the source of the water intrusion. Remove furniture from the affected area or put furniture on blocks. 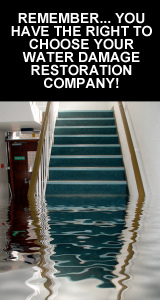 How can we safely inspect your house or business for water damage? High tech moisture detection meters and the training to look for hidden moisture is key to be certain that all contaminated areas are treated during the drying process. If you should decide to put in a claim to your homeowners insurance. Lots of pictures will be taken to assist your insurance with proper inventory and proof of damage. In order to dry your home properly strict records are kept of temperature and humidity. This is known as “moisture mapping” and most insurance companies will require these records to be kept. Anything that has made contact with category three water must be removed or replaced. The drywall should be cut out all around the contaminated areas. The carpet and padding are removed and contents are taken off-site to be inventoried by the owner and insurance adjuster. One of the many tools available to 24/7 Restoration is the use of air drying. Using speed dryers, air mover, etc. pushes or moves the moisture off the water damaged affected material (carpet, furniture, walls, etc.) and is dispossessed into the air where the commercial dehumidifier catches it and removes it from the room. 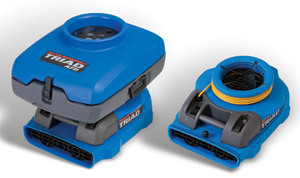 In some cases an air filtration device and/or plastic containment will be needed depending on the severity of the loss and if there are any tenants with respiratory sensitivities such as asthma, allergies, auto immune disorders, etc..
Dehumidification is the process of removing moisture from the air and away from the affected areas. A home that has experienced water damage will normally take 2 to 3 days for the drying process. In extreme situations this could of course take a bit longer. The proper amount of air movers and dehumidifiers, along with heat, will dry your home quickly enough to prevent further damage, like mold growth.